Based on the recent news that Toy Story 4 would be more of a romantic comedy, fans of the films may be worried that the latest iteration might ruin their relationship with the series. After all, science has proven that’s what romantic comedies do. But Pixar may be taking extra steps to prevent that from happening, as /Film reports that the company has hired Josh Cooley to co-direct the movie alongside series creator John Lasseter. Cooley started at the company as an intern working on Cars, meaning you can hardly blame him for that one. 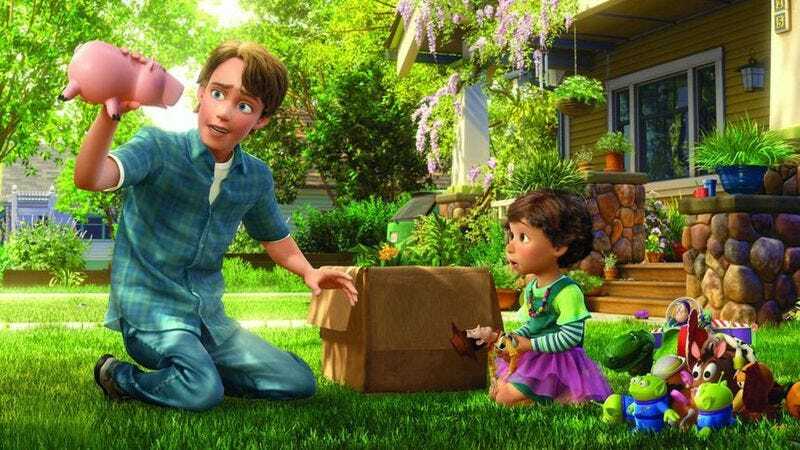 In the ensuing years he has become a senior employee at Pixar, most recently serving as “head of story” for the studio’s upcoming film Inside Out and directing a short that will be included on that film’s Blu-ray release. Presumably this move, along with the script co-written by Rashida Jones, will help ensure that the newest Toy Story film will make you helplessly weep just as surely as the previous installments. We’re tearing up just thinking about that last one. Well played, Pixar. Well played.